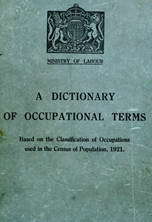 general term for any operative engaged in making emery or other abrasive wheels, including moulder and mixing machine attendant (099) q.v. casts mixture of cement, ballast, shingle, breeze, etc., into blocks, by hand or by machine, and faces them to represent stone. cuts sheets of asbestos fabric into lengths, or according to pattern, with shears; sometimes also prepares patterns (from paper or zinc) from dimensions supplied to him. puts "breeze," i.e. crushed or small coke, into a disintegrator, and grinds it to powder: mixes powder with melted pitch, and passes it into a moulding machine, which presses it into blocks. (ii) fills hollow blocks of clay, after baking, with mixture of cement and breeze or shingle. as for block maker, building. (ii) makes concrete blocks by tamping or ramming "aggregate" and cement into moulds. (ii) makes partition blocks by ramming or stamping breeze and cement into moulds. as for block maker, concrete. (iii) (for pipes less than 6 inch bore), tamps concrete, without re-inforcement, into moulds by hand. shovels newly mixed concrete into wooden moulds, smooths over top with trowel, and, when fairly firm, removes posts to dry in the open; if posts are to be reinforced, uses steel bars or wires in mould. general term for any person engaged in making crayons, including mixer and moulder (crayons) q.v. draws or scoops out, with skimmer, from bottom of boiling pans, salt which is continually being precipitated therein; places coarse salt in bulk on hurdle for removal to warehouse, and line salt in moulds or tubs. drills holes in sheet mica, with a mechanically-driven drill. general term for any person engaged in building up mica for insulating purposes, and in forming and pressing to required shape in a mould and placing mould in a semi-heated press; includes mica cutter, mica ring builder q.v. operates, by hand, levers of machine which spreads thin coating of glue on a piece of doth or of specially prepared paper and automatically sprinkles it with emery stone; feeds machine, by hand, with pieces of cloth or prepared paper. covers steel rollers with emery cloth, in form of a thin strip or fillet, for use in textile trades. mixes ground emery stone with a binding material, e.g., soluble glass, or shellac; moulds mixture into shape of a wheel, and dries it by application of heat. a concrete block maker q.v. who pours concrete "aggregate," re-inforced by rags or wood fibre, into moulds, and smooths off with trowel. applies plaster mixture to surface of artificial stone, to make it smooth; slides stone into press (hand or hydraulic); applies pressure by means of a lever; removes stone, by hand, after pressing. (ii) see finisher, artificial flag. as for finisher, concrete block. lights and feeds fires under salt pans; maintains correct temperature by judgment based on experience and by adjustment of flue dampers; obsolescent; sometimes also does work of salt drawer q.v. ; cf. salt boiler. as for flag maker, artificial, except that pumice stone is used, instead of ordinary stone or gravel. artificial flagstone maker, cement flag maker, concrete flag maker, paving flag maker; composition stone maker, concrete slab maker, concrete paving slab maker; fills buckets with broken stone or gravel, pumice stone, binding material, water, etc., which have been mixed by another worker; empties buckets into wooden moulds, and rams down mixture with a wooden rammer; repeats process until mould is full; places cover on mould, and beats it with rammer to give greater pressure; leaves moulds to solidify; before concrete has completely hardened, gives final surface, with a trowel, to part of flag not covered by mould; removes concrete from mould, when it has solidified. fills crucibles and pots with dried strips of graphite (plumbago, or black lead), and places them in furnace or kiln; attends to fire and empties furnace or kiln when process is complete. as for emery cloth maker. general term for any person engaged in preparing graphite (plumbago, or black load) for lead pencils; includes furnace man, lead presser, lead layer (099), machine hand (099), mill hand (099), lead mixer (099) q.v. takes salt from drying stoves; puts it on a hand truck, and conveys it to a loft, and stacks it there. turns salt out of mould in blocks; carries it to stove at back of fire, where it is thoroughly dried, dryness being proved by "ringing" or sounding it; sometimes also stores it in room over stoves until it is sold as "stoved" salt (see lofter). cuts off rough edges from split mica plates with a knife; also trims mica into forms and patterns with large shears and punches, operated either by hand or by mechanical power. assembles thin mica sheets, cut to circular shape; daubs surface with shellac, and builds one upon another to required thickness; puts these "mica shapes" in ring mould or hot press. splits mica, which has already been separated into plates, into sheets of extreme thinness with a thin-bladed knife. general term for any person working with mica, including mica cutter, mica ring builder, driller, mica splitter q.v. mixer; measures or weighs out ingredients of mixture; sometimes also tips them into mixing machine, sets machine in motion, and decides when mixing process is complete; often further designated according to materials mixed, or article manufactured, e.g. abrasive wheel mixer, emery wheel mixer, lead mixer, liquid lead mixer; cf. mixer (099). weighs out lime, and places it in mixer, whence it runs into mill, and is mixed and ground along with silica materials. fills moulds with abrasive materials, mixed, ground, and moistened to form a paste; places mould either in a hydraulic press or in a hot-air chamber, to dry; sometimes also puts mould in a kiln or oven. supplies crayon paste to machine, which shapes it into sticks; these are automatically cut off in short lengths as they issue from machine. as for flag maker, artificial. removes outer covering of stone from plaster of Paris (gypsum), by chipping it off with a hand chopper. see finisher, artificial flag ; cf. plasterer (567). coats surface of thin shavings or sheets of mica with shellac, and builds them one upon another (usually upon an oiled linen sheet) to desired thickness- plates are then heated in oven, to drive off excess of spirit, and pressed in steam-heated press. (pencils ) prepares and fills lead pots with mixed ingredients of lead; puts pots under hydraulic press, and operates press by means of levers. feeds and operates small hand or hydraulic press which presses "black lead", in paste form, into blocks. makes thin slabs of concrete, by mixing concrete and pouring it into a mould, and either pressing it in a hand or machine press, or allowing it to dry and harden in air. minds open pan, heated by furnace underneath, in which brine is boiled; sees that pan is supplied with brine, and sometimes maintains fire in furnace; cf. fireman (salt); in some works also acts as salt drawer q.v. takes sample of patent fuel, etc., every hour during manufacture and assists chemist to carry out tests for volatile matter and calorific content. see breeze concrete partition maker. conducts tests prescribed in British Standard Specification for (a) fineness— by means of standard sieves; (b) chemical composition— by chemical analysis on standardised methods; (c) tensile strength— by making briquettes of standard form and dimensions and submitting them at certain ages, e.g., 7 days, to breaking stresses in special machine; (d) setting time— by means of Vicat apparatus; (e) soundness— by the Le Chatelier or other methods, i.e., a determination of the expansion on setting; is often done by chemist, but tests vary according to quality tested. dresses rims of emery or other abrasive wheels with a toothed disc, pressed against rims in a lathe, and turns rim in a lathe, using a diamond tool. as for turner, abrasive wheel. turns sheet mica to required diameter on a power-driven lathe, e.g. to reduce diameter of washers previously stamped out of sheet mica. an artificial flag maker q.v. who mixes colouring materials with other ingredients of aggregate.